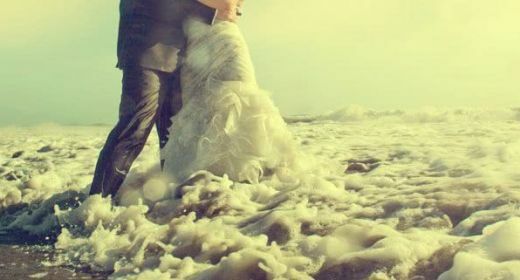 You’ve heard of the Trash the Dress photoshoot, and you probably love it. The photos are nothing short of amazing, and we all know the brides who take these pictures have the most fun. The wedding is over, the perfect dress has been worn, people complimented you all night on your gorgeous dress, and now it’s time for you to relax and enjoy your new role as a wife. Until you realize you actually jumped around in the ocean, the mud, on the back of your horse, or in the woods in your very expensive gown. Now it’s trashed, and you won’t get the chance to share your dress with your daughter one day. Sure, she may tell you she doesn’t want to wear it again anyway, but it'd be nice if she had the option. What’s a new bride to do now that you have the most spectacular photos, but your dress is ruined? How about calling us to have your wedding dress cleaned and restored. We can take a gown that’s all but destroyed and restore it to its former glory for your future daughter or granddaughter to wear on her own wedding day. Just when you think your dress is trashed, it’s not too late. What Stains Can You Clean From a Wedding Gown? You’re thinking it’s just too late for your gown, but it’s not. 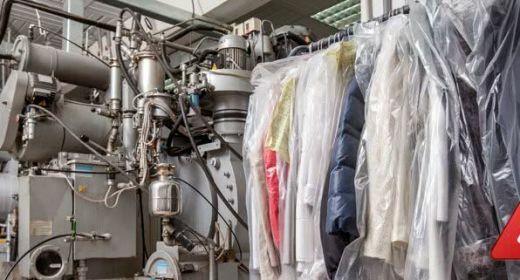 The amazing SYSTEMK4 wedding dress cleaning technology we utilize to clean and restore wedding gowns is second to none, and it has the power to clean virtually anything to help restore your gown to its original state. There is nothing this system cannot clean off of a dress, and it doesn’t even matter if it’s been sitting on the fabric for a few weeks since your big day ended. This technique is spectacular, but that’s not all. It’s an organic process that doesn’t use dangerous chemicals or cleaning agents on your gown. Whether it’s old and yellowed or brand-new and dirty from your trash the dress party, your gown is perfectly capable of being restored. The preservation and restoration process is so good it also helps remove stains from any fabric. Your tulle underlayment, your chiffon skirt, and even your silk sheath can be cleaned, restored, and returned to its original beauty with the help of this restoration process. 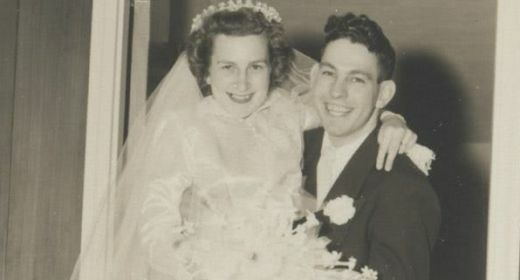 It’s so good many brides are convinced their gown has never even been worn when it comes back to them. 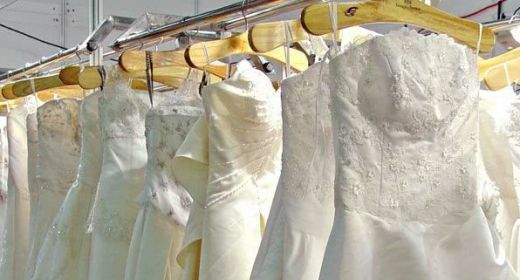 How Does Wedding Dress Cleaning & Preservation it Work? There isn’t a one-size fits all technique used to clean all gowns that come in for restoration. Many gowns are made of different fabrics, many have different stains, and many are just not in the same condition they were prior to being sent in for restoration. The process involves a special consideration for each gown. All gowns are examined carefully prior to any treatment. Once it’s been determined what process will work best for specific stains and fabrics, the process begins. All of the materials used to clean and restore gowns are entirely organic and safe, and nothing will cause your gown to break down over time. In most cases, it’s the simple use of the SYSTEMK4 cleaning process that works to restore a gown completely. In more serious cases of stains and discoloration, the restoration process requires a more intricate cleaning process. DLI certified cleaning solutions are used to clean material with deeper and more serious stains, and each one is safe for any fabric. All gowns are handled with the utmost care and love. Some gowns require more than one treatment to remove difficult and stubborn stains, and it usually works wonders. No gown is returned to any new bride without first going through an intricate inspection process. It’s looked over from top to bottom both inside and out to ensure there isn’t even one stain or vision of anything less than perfection on the gown before it’s returned to brides. If you’re wondering how long it will take, expect the process to take anywhere from one to two months. 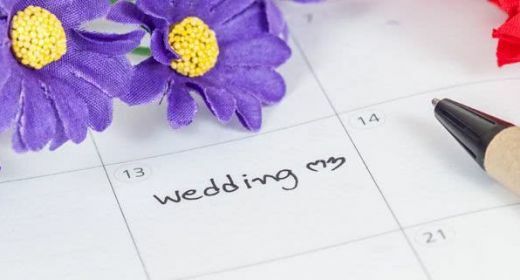 It’s typically 5-7 weeks for most brides, with the gowns with the most serious stains taking a bit longer to clean. It’s a delicate process that cannot be rushed. Our team is up-to-date and educated about all the best, latest, and most helpful cleaning and restoration techniques. 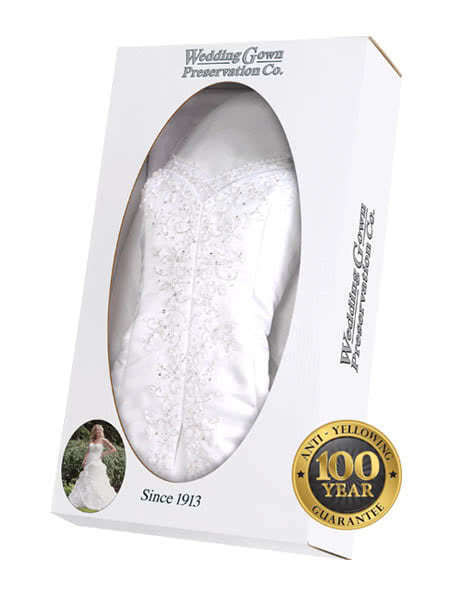 We stay in the know so you can have your wedding gown back in the same condition you brought it home that first time. Why Even Bother Since I’m Never Wearing it Again? The good news is you won’t need to wear your gown again since you are living your happily ever after, but let’s be realistic. Even if your own daughter one day perfects her eye-roll so she can use it on you when you offer her your gown on her wedding day, you might have a granddaughter who would love a vintage gown. Fashion trends and styles come and go, and you might find someone in your lineage wants to wear the beautiful designer gown you wore on your own day. If not, you might find you want to take photos of your little girl in your gown every year on her birthday to document her growth. Perhaps you want to wear it again every 10 years to document your anniversaries. Or maybe you just want to sell it online and recoup some of the money you spent to buy the dress for your wedding. Whatever it is, you want your dress cleaned. Another great reason to have your gown cleaned and restored is to donate it to a charity that helps brides in need. There are many great organizations that will help match your wedding gown with a bride who will love it as much as you did. Brides Across America is one such organizations that helps veterans and wives of veterans get matched with the perfect wedding dress. If your dress wasn't overly damaged during your photo shoot, you can probably utilize our clean-only wedding dress cleaning package to have your dress looking beautiful and ready to be cherished by a bride in need. 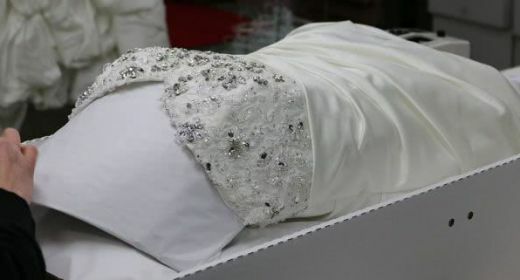 Trashing the dress is fun, but it takes its toll on your wedding gown. Don’t feel guilty about taking the photos of your dreams. You deserve these memories more than you know, and you’ll look at these for years to come while your dress is sitting in a closet somewhere. But that doesn’t mean you’re destined to maintain a gown that’s less than perfect. Let us help.